The original Blade Runner is at once a fascinating failure and an accomplishment. In its original theatrical release it was a consummate mess, an LA noir as filtered through German expressionism — part nostalgia for a hellish future (in the impossibly distant year of 2019, no less), part meditation on the nature of humanity. Both of those halves are ambitious and beautiful, but they didn’t entirely gel. In fact, it was only with subsequent director’s cuts and final cuts and European cuts that the film came into its own. And indeed, the Final Cut is a brilliant, gorgeous, still-flawed masterpiece. But in the decades since its release it has grown more august, and now that it has reached its mid-thirties it has acquired a certain regal maturity. Viewers remember Rutger Hauer’s partially improvised speech about events disappearing like tears in rain, and forget Deckard’s embarrassing voiceover and the muddiness of its plot. Now, Blade Runner: 2049 attempts to emulate that complicated legacy. Directed by the masterful Denis Villanueve (Sicario, The Arrival), this decades-later sequel is as moody and drenched in dread as its predecessor, but without some of early Ridley Scott’s quirks. For instance, the iconic, almost magical-sounding Vangelis soundtrack, with its twinkle of notes, is quoted here, but mostly replaced with overbearing industrial noises that risk drowning out the rest of the sound design. The visuals are also just different enough to be a bit jarring in a film called Blade Runner; we even glimpse the sun. Through smoggy clouds, in a wasted city composed mostly of piles of trash occupied by Mad Max-esque raiders, but it’s the sun all the same. But like in the original, the plot is noticeably less important than the atmosphere and the questions it asks, which are subtle variations of the original’s. What, it asks, makes us human? Our memories? Our makeup? Our manufacturer? Alright, enough analysis. The movie is good. Very good, in fact, especially if you are willing to go along with it on its journey, which is long. 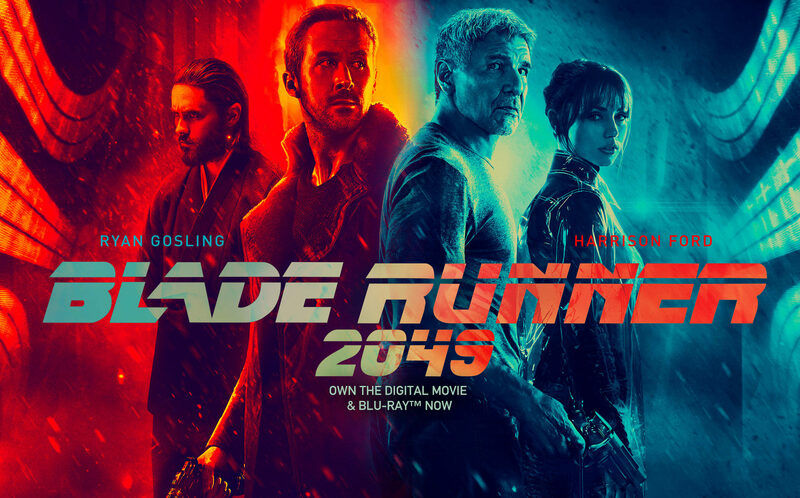 The action beats are smart and potent, but like the plot, less important than the quiet moments in which Gosling’s replicant detective is exploring the city, or flying over a protein farm, or enjoying a holographic overlay of a sumptuous meal over his soylent goo. If you like the original (and I hope it’s clear that I do, it’s one of my favorites ever), than you will almost certainly like the second. It shares most of the same flaws as its predecessor, but then that is also true of most humans, and, perhaps someday soon, most artificial intelligences.